I have found key to Templar family. 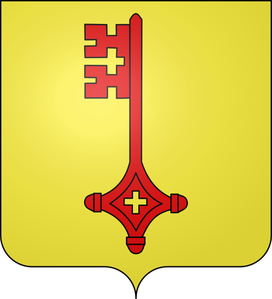 The name of the lordship of Til-Châtel has existed under different spellings depending on the period: Tilicastro originally, then Tylicastrum, Tilchastel or Thilchastel, Trichastel or Triechastel, Trichateau or Trechateau or Trichatel, Mont-sur-Tille during the revolutionary period, and finally Til-Châtel since 1860. Another variant can still be found: Johanz, Lords of Tile Chastial for John of Til – Châtel in a deed dated September 1265 (see below). N.B. The family of Til-Châtel is why I had the greatest difficulty in finding contemporary illustrations because the first known seal dates from 1248 and the last bearer of the name disappeared in 1299.